Having problems with the heating system at your home? Do you feel like the heat is escaping somehow? The reason, surprisingly enough, might be related to poor attic insulation conditions. Your home is literally vulnerable to outside effects when the attic suffers from air leaks: air conditioning systems don't work properly, moisture gets in, bacteria grow freely and brings with it disease and additional health issues, and rodents give the place a 5-star review. Want to find a professional solution to the problem? This article is for you. 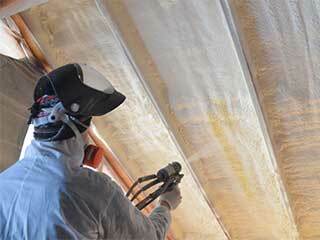 Poor insulation of your attic can cost you a lot of money. In order to keep your home nice and cozy, heating and cooling systems will work hard and overtime, which can lead to systems overload and eventually, significantly higher than usual electric bills. Want to save money? Installing attic insulation is the only solution. We at Attic Cleaning Thousand Oaks will arrive on site to inspect the overall condition, remove any old or torn insulation, clean and decontaminate it if necessary, and re-insulate the space, thus ensuring your attic is sealed and clean! Insulation problems can also create the perfect conditions for bacteria growth and for moisture to accumulate in your attic and crawl spaces. But don't you worry – our professionals have the experience in dealing with this kind of infected environments, performing crawl space cleaning and decontamination services while using advanced technological equipment, before installing new insulation at your home, which will ensure that your home is not only sealed, but also clean and healthy. Don’t wait for tomorrow! Seal the deal with our professional attic insulation services, including attic air sealing, insulation replacement & installation, and more. We also perform professional attic and crawl space decontamination. Give us a call today to find out more on how to protect your home and save time, energy and money, while ensuring your home is safe and clean.